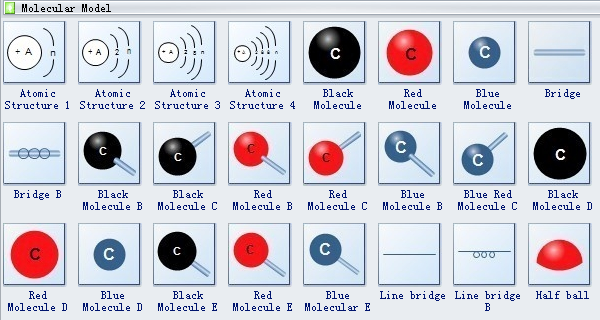 Edraw software includes lots of molecular model, atomic structure, red molecule, blue molecule, black molecule, Line Bridge, half ball, etc. 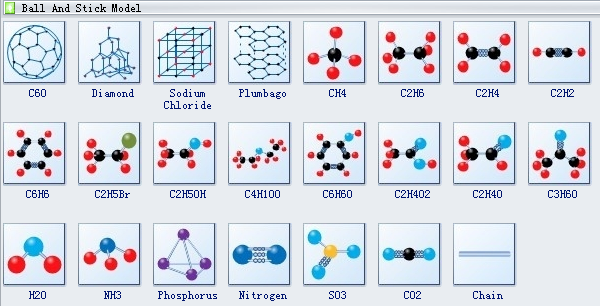 You will find these shapes of great help when drawing the molecular models. Atomic structure is the structure of an atom, theoretically consisting of a positively charged nucleus surrounded and neutralized by negatively charged electrons revolving in orbits at varying distances from the nucleus. Orbit is a well defined circular path around the nucleus in which an electron revolves. C60 is a molecule that consists of 60 carbon atoms, arranged as 12 pentagons and 20 hexagons. The shape is the same as that of a soccer ball: The black pieces of leather are the pentagons, the hexagons are white. There are 60 different points where three of the leather patches meet. CH4 is kind of material called methane. The relative abundance of methane makes it an attractive fuel. H2O is a binary compound that occurs at room temperature as a clear colorless odorless tasteless liquid; freezes into ice below 0 degrees centigrade and boils above 100 degrees centigrade. It is also called water. 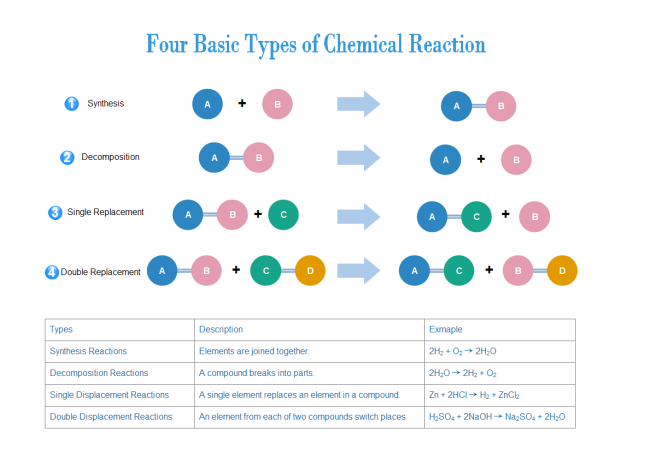 Need fresh looking molecular model diagram symbols for your design? These molecular model diagram symbols are a cinch to pop in. And their crisp, fine detail will make spectacular, easy-to-understand diagrams and presentations to your customers. The above shapes can be used to visualize chemical knoledge for easier understaing. See an example.